Have you ever thought about taking a cycling trip around Lake Balaton, but you still hesitate to go ahead being terrified of the amount of preparation required for such a trip? 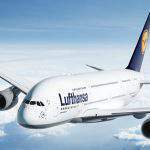 Then you should absolutely read this article in which all the necessary information is collected from the means of transportation used to reach the lake from Budapest, through the itinerary, to the budget accommodation opportunities and bicycle repair stations just in case one is needed. 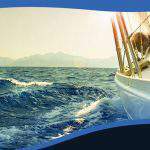 Collect some pieces of practical information to get out the most of a short trip around the Hungarian Sea. 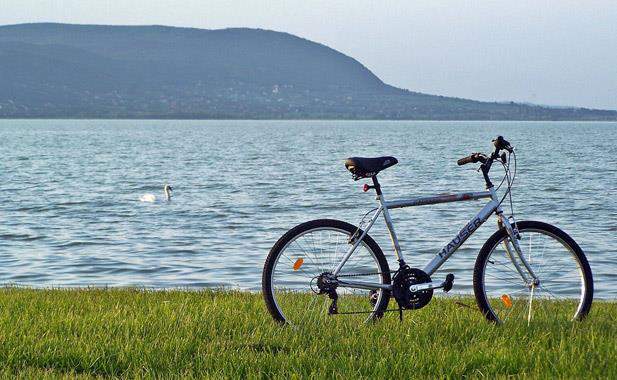 As Funiq.hu reports, more than 200 km and an unforgettable experience await those who decide to go ahead and take the cycling trip around Lake Balaton. Some sportspeople push their limits by attempting to cycle it around only within a few hours while others take the trip with their family members at a slower pace with the aim of having fun and relaxing on the beach at the end of each day. 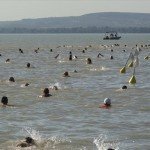 This is why the Balaton Bike Ring enjoys such a great popularity among Hungarians and foreigners alike, since everybody can try it out at least once in a lifetime, no matter what their motivation is. Besides the scenic view and the fantastic little settlements located around the lake, another important factor encouraging cyclists to take the trip is that this vacation can be a last-minute and, at the same time, a low-cost trip. In order to get out the most of the budget-friendly holiday, a few awesome tips are collected here which facilitate the preparation and make the trip less stressful. The 1st arising problem tourists might face when planning the cycling trip is getting to the lake from the capital. 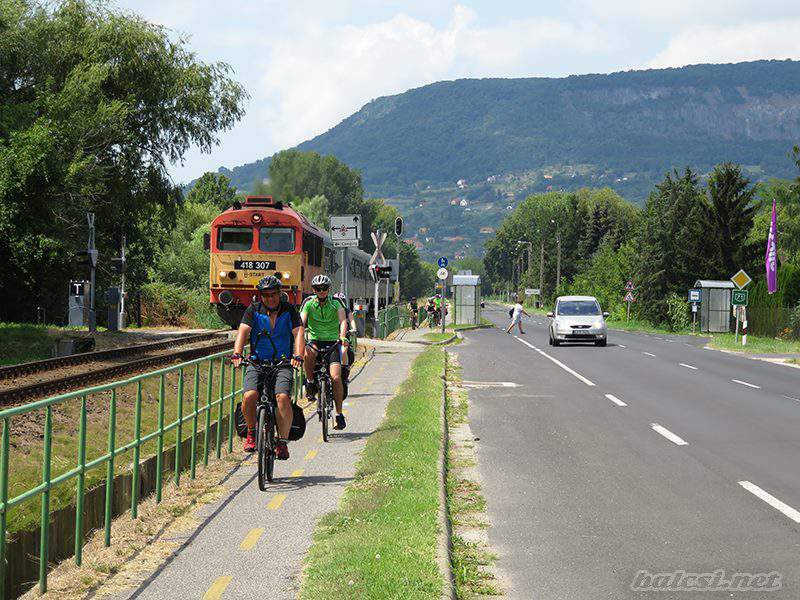 Although a direct Budapest-Balaton cycle trail has been being constructed according to 24.hu, based on previous estimations, the trail is going to be inaugurated only in the summer of 2019. In fact, this trail will be worth a trip on its own, since it is going to be approximately 110 km long. 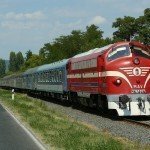 If you do not want to travel to Lake Balaton by car, the best way to get there is by train. Special discounts are available in Hungary for pensioners, students, youngsters below 26, families with 3 or more children and disabled people, so you can save money if you have your identity cards with you that entitle you for the discounts. 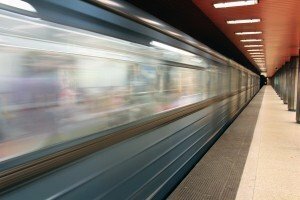 For transporting bicycles, a special fee has to be payed, the price of which depends on the distance you aim to cover by train. How to start the Balaton Bike Ring trip? You might also be wondering about where to start the trip. 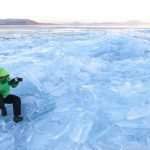 There is no good or bad answer to it since you can start in any settlement around the lake, although the zero kilometre stone of the bike ring is in Balatonalmádi. It is difficult to tell how many days an average person needs to cover the distance, but 3-4 days seem to be ideal and feasible with around 50-70 km to cycle each day. Let’s say a few words about the settlements visited during the trip. Starting from Balatonalmádi, it is worth heading for the west in the direction of Alsóörs. This town is well-known for its great beach right next to which is the Tourinform office where you can ask for some help if you already feel lost. The next bigger station is Csopak where child-friendly programmes can be organised on the playground or in the barefoot park. 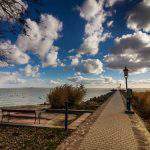 While being in Balatonfüred, do not forget to slow down at the Tagora promenade, which is the perfect place for a peaceful walk in order to stretch your muscles after the monotonous cycling. 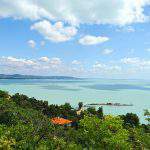 Leaving Balatonfüred, an amazing panorama will unfold before your eyes overlooking the Tihany peninsula and its vicinity. Follow the well-signposted route towards Balatonakali and Zánka where you have to cross the railroad to continue your journey on the cycle path. Arriving in Révfülöp, you can stop for some time at the ruins of the Fülöp Church or in the city centre to purchase some refreshments. Leaving this settlement, you will arrive in Balatonrendes that is the only settlement where you need to ride on the main road since the cycle path continues only at the end of the town. Then comes Badacsonytomaj with a scenic view and Balatonederics notable for its African Museum and Zoo. If you have arrived there, you have almost reached the western coast in Keszthely. The pier of Keszthely is a great stop for cyclists. It is rightly called the “capital of Lake Balaton” since in every 50 m, you can find interesting sights, museums, castles and old buildings. Continuing the journey, you have to head for Balatonberény and Balatonszentgyörgy before cycling towards Balatonkeresztúr and Balatonfenyves where you are officially on the south coast. Arriving in Balatonboglár, do not forget to go up to the unique lookout tower, the Globe Observatory, for jaw-dropping heights and a spectacular view. 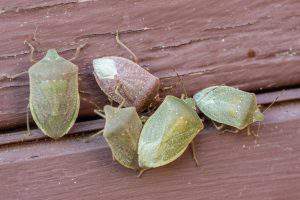 Then continue the journey to Balatonlelle and Balatonszemes. In Balatonföldvár and Szántód, you can admire one more time the scenic Tihany peninsula, but in Siófok, pay special attention to pedestrians since the cycle path crosses the route of passers-by in the centre. Two questions rest to be discussed related to the trip: first, the accommodation opportunities, then the bicycle repair stations that are always good to check in advance. In most camping sites mobile houses are available for tourists, like in the Aqua Camp of Alsóörs or the Aranypart Kemping of Siófok, but you can also put up your own tent or park your caravan where different facilities, including running water, electricity and Internet connection, are provided. In some cases, the campsites have its own private beaches as well. 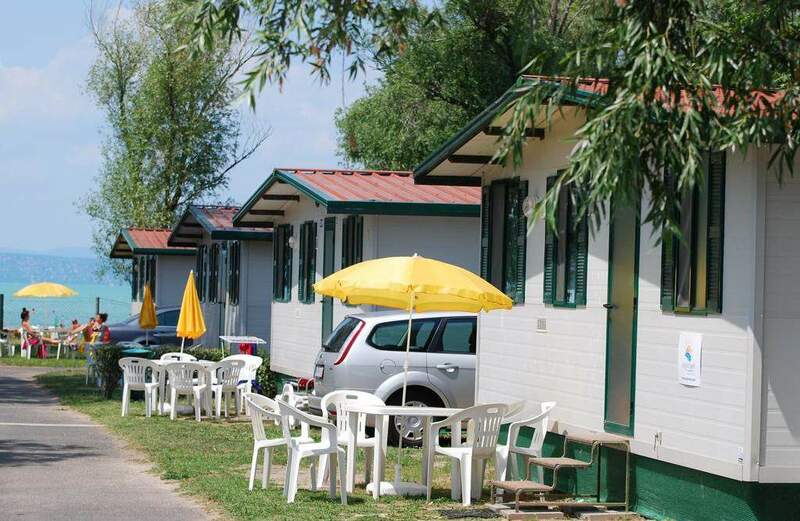 For more information, check out the page of Booking.com about the best campsites around Lake Balaton. 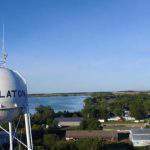 Wait... is there a Balaton in the USA? 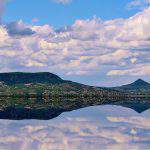 Have you heard of the American Balaton? 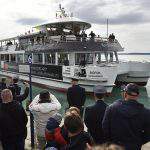 Would you like to rent a boat on Lake Balaton? What do foreign celebs and guests request from a receptionist in a Budapest hotel?